Who doesn’t love weddings? We sure do! 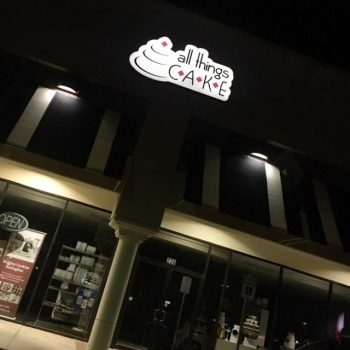 From the first meeting with the bride and groom all the way to the final picture when we drop off the cake…we love every step of the way! And we especially love weddings that are delivered to our exclusive partners – one of which is the Hidden Porch in Catoosa. These two cakes were delivered recently for the sweetest couple! They knew what they wanted from the start and we did our best to come through for them. The main cake had a mix of round and square tiers and served about 100 people. 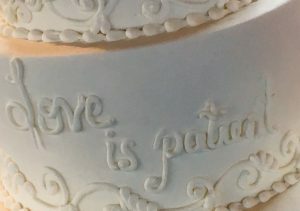 It was iced in smooth buttercream with some hand piped wording and delicate scrolls. 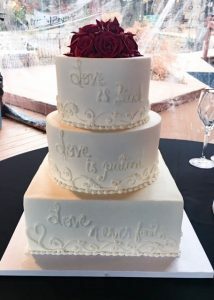 It was simple and romantic and was topped with a pop of red buttercream roses. 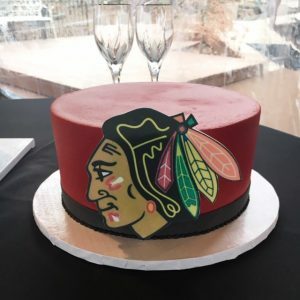 The groom is a Chicago Blackhawks fan, so he opted for a simple cake with an approved edible image of the team’s logo on the front. We iced this cake in red to coordinate with both the wedding colors and the team colors. 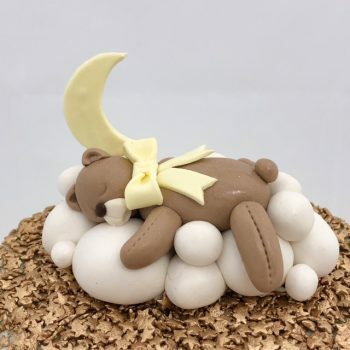 We then mounted the edible image on fondant and let it dry, so it would have a more 3D effect on the front of the cake. It was a lovely January day when we delivered this cake among the twinkle lights at the Hidden Porch. We can’t wait for the next wedding there!